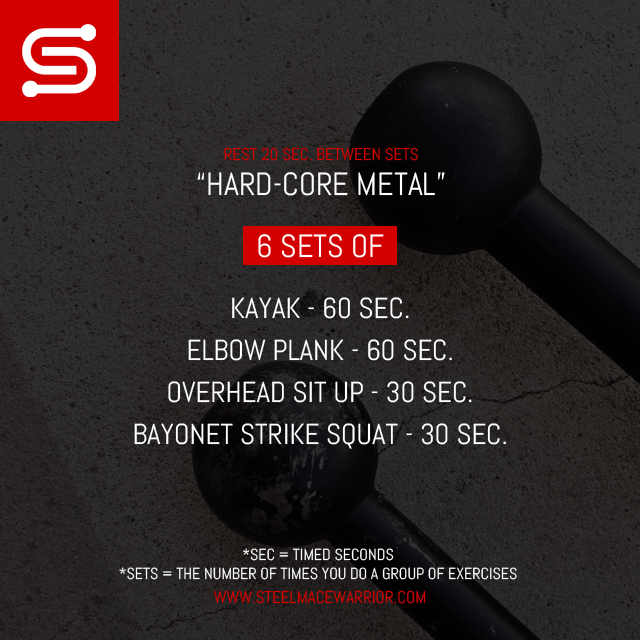 Today i am releasing a great steel mace workout to strengthen your core for overall training and to give you nice looking abs. I named this one HARD-CORE METAL because if you do it right, that’s about what you will be feeling. As always links to videos are provided below to show you how to do these individual steel mace exercises. Enjoy! Elbow Plank – 60 SEC. Overhead Sit Up – 30 SEC. Bayonet Strike Squat – 30 SEC.